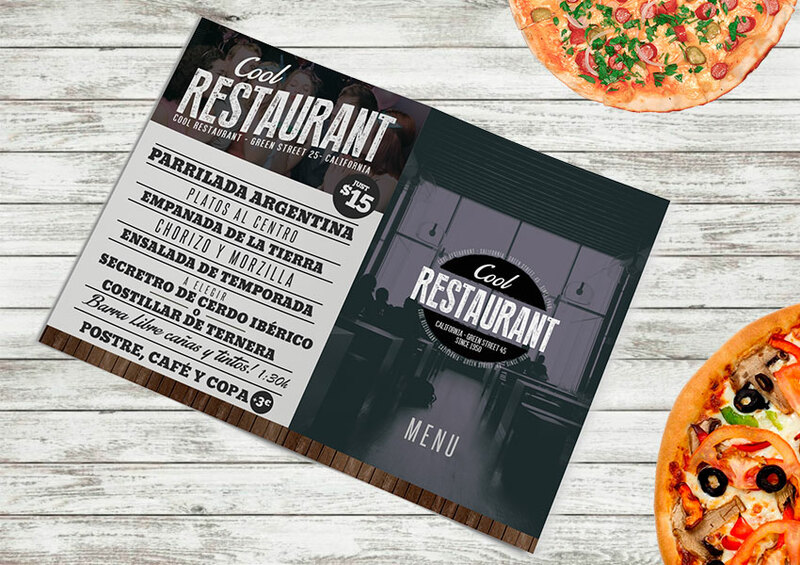 Restaurant Menu Template PSD is a menu template for your restaurant, cafe, coffee shop, bar, pub or club. Modern, clean, attractive design. High definition, the files has a 300 dpi resolution. CMYK Colors. All images are included. Text fonts are included too. A4 size. Download now this menu template or check other other menus or brochures here. PSD Template, CMYK Colors & 300 dpi resolution. All images included. Text fonts included. A4 size – 21×29.7 cm – 8.3×11.7 in. Simple to customize. Well organized Layers.